Eczema is a very common skin disease of children. It refers to a skin condition where the afflicted child experiences skin inflammation on the tender areas of the body like elbow, knee creases, behind the ears, face, hands, wrists, scalp, and neck. Eczema has severe effects on the mental and physical health of a child. If the baby develops eczema at the very early age of two or three months, it is difficult to handle and cure. As the infant grows, the child may have lesser instances of eczema flare-ups and it may totally disappear as the little one crosses his teens. Both parents and their baby experience mental trauma in this skin condition. The main symptom of eczema is itching .The affected child scratches and rubs the inflamed areas that further worsen the skin condition. Sometimes the skin has red, little bumps that ooze and are painful. In chronic eczema, the skin becomes thick, and the skin surface marking is more prominent. Use soft cotton clothing so that the skin is not irritated or inflamed because of the cloth. Use unscented products for bathing. Use clean towel and bedding. Dirty fabric may carry dust mites and bacteria that may pass on to the skin. Hence, proper care in this regard is essential. Avoid skin dryness. 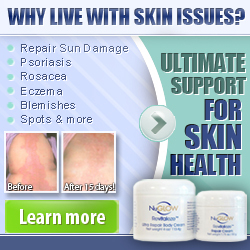 The relapse of skin eczema is often caused by dryness in the skin. The dryness alters the normal flora of the skin that attracts microorganisms that in turn complicate the condition. Moisturize the skin of child regularly. It helps in controlling the itchiness. Use unscented lotion or natural products that have no side effects on the skin. Find out if the soap is suitable for the baby. Switch over to mild and unscented soap if any flare up is there after bathing. The detergents should also be scent free and mild otherwise that can trigger the skin problem. 1. Over the counter drugs, lotions, creams, gel etc. Applications of cream, lotions etc. and using of steroids may give temporary relief in curing eczema. These creams and lotion may suppress exudation but may develop some other more serious disease of childhood. Even so called “mild” steroids wreak havoc on immune system and thinning delicate skin of children. The best way to deal with this disease is to cleanse the blood stream and the body in natural way with home/natural remedies as Chemical based products, steroids and creams/lotion may leave many side effects and other complications on child skin. Natural products, home remedies is the best option to treat eczema in children as these products do not leave any side effects or any other complication on delicate skin of child. These remedies cure eczema from the root and not the symptoms. Natural products, home remedies to cure the eczema of children can be prepared from the items available in home or at nearby grocery shops. These items are comparatively quite cheap in comparison with prescription medication and also eliminate major hassle of visiting the doctor by saving your money and sparing time from work and home. Eczema has many different causes and, for that reason, there are many treatment options available in home/natural remedies for treating the eczema. Successful treatments vary depending on the individual in question. Before treating eczema with home remedies it is necessary to understand the root causes of eczema, allergen in case of eczema due to allergy, type of home remedy, ingredients and its preparation method. “Cure Child Eczema: Natural Method That Works” defines three step treatment to cure eczema with home remedies. In this eBook types of food avoided, food beneficial in eczema, identifying the reasons of eczema of any individual, correct way of internal cleansing to treat eczema and preparation of various types of home remedies to cure eczema have been explained in detail. 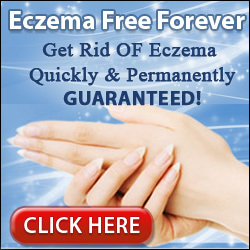 You may find home remedies to cure eczema at "childeczemacure.com"
A secret Unique Natural System to Give Your Child An Eczema Free Childhood With home/natural remedies which has helped Thousands without any medication or side effect.